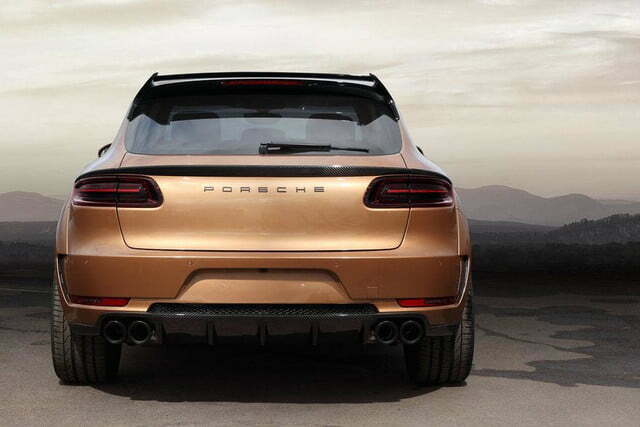 Russian tuner TOPCAR has introduced a wide range of aftermarket parts designed specifically for Porsche’s entry-level Macan crossover. 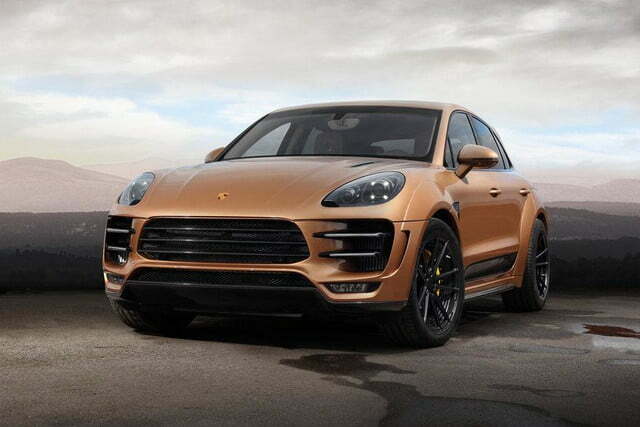 Fitted with the full TOPCAR kit, the Macan gets a more menacing look thanks to a comprehensive body kit that includes a deep front bumper with additional air vents, large vents behind the front wheels, wide fender flares all around, side skirts, a black roof-mounted spoiler and a new rear bumper that features an integrated air diffuser. 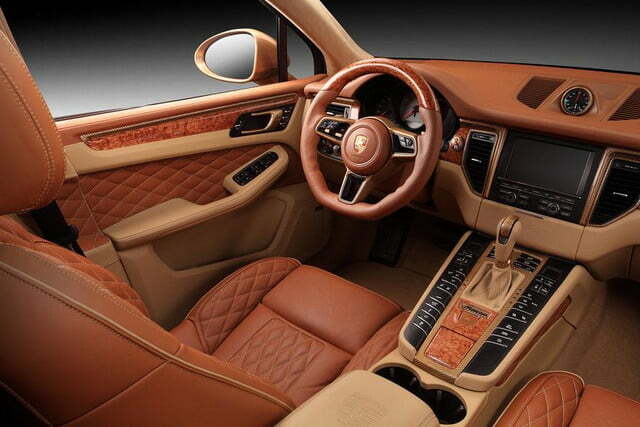 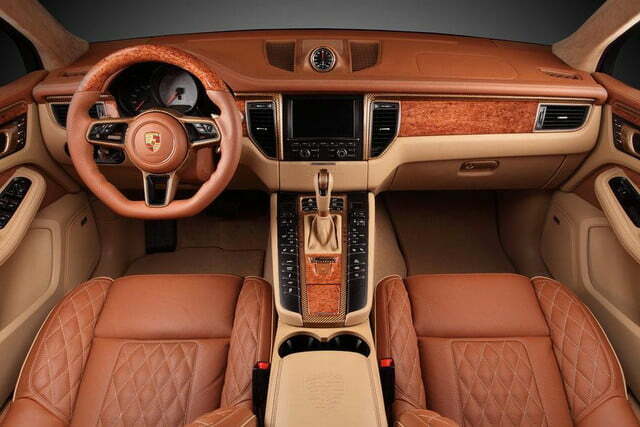 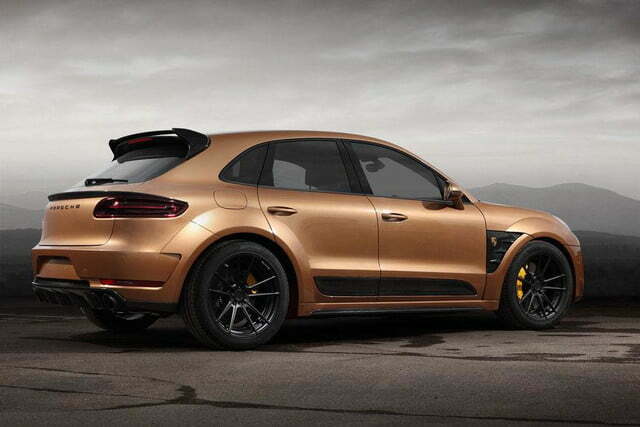 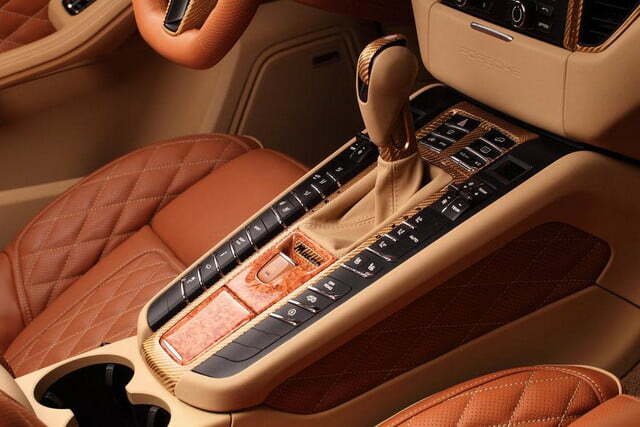 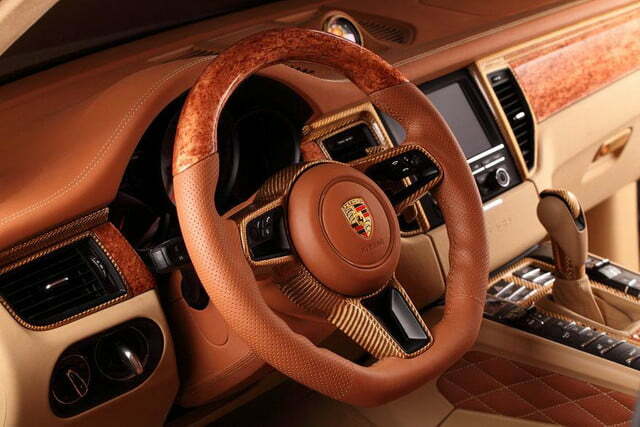 Inside, the custom-built Macan gains a meaty wood-rimmed three-spoke steering wheel as well as gold carbon fiber trim on the dashboard, the door panels and the center console. 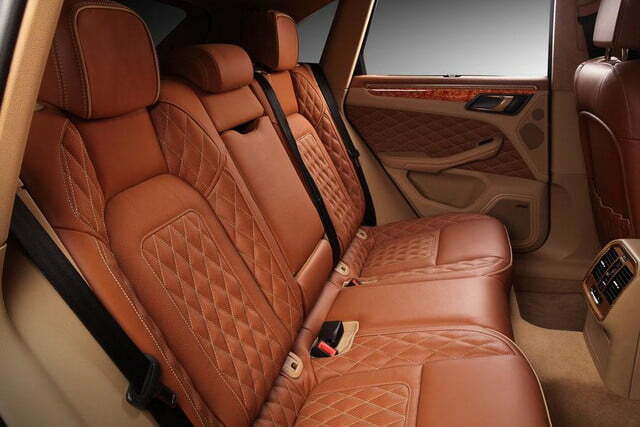 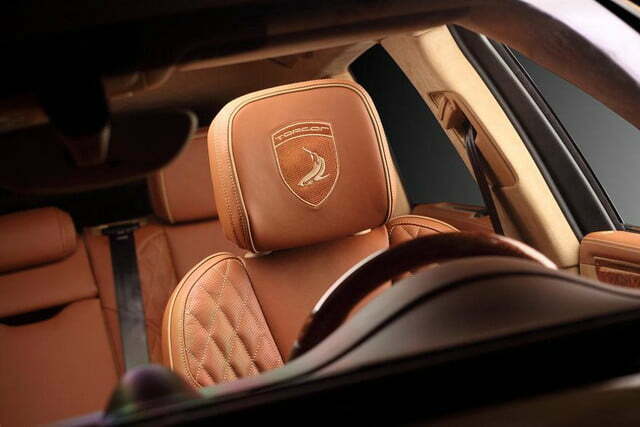 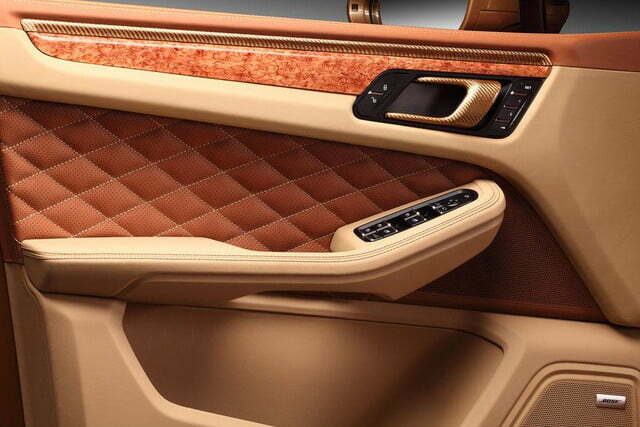 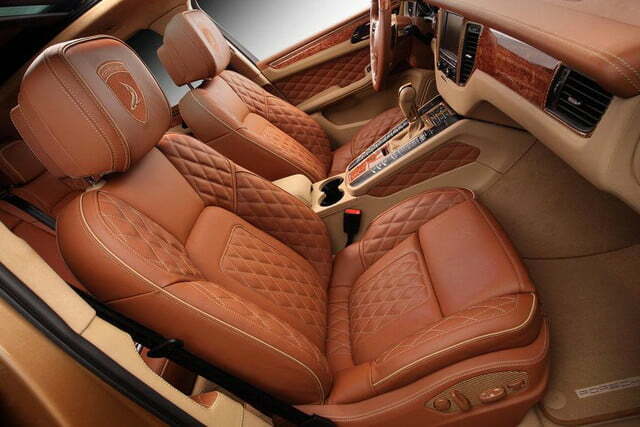 Real wood trim on the dashboard and acres of diamond-quilted leather upholstery add an upscale touch to the overall ambiance, creating a crossover that is fit for even the most demanding oligarchs. 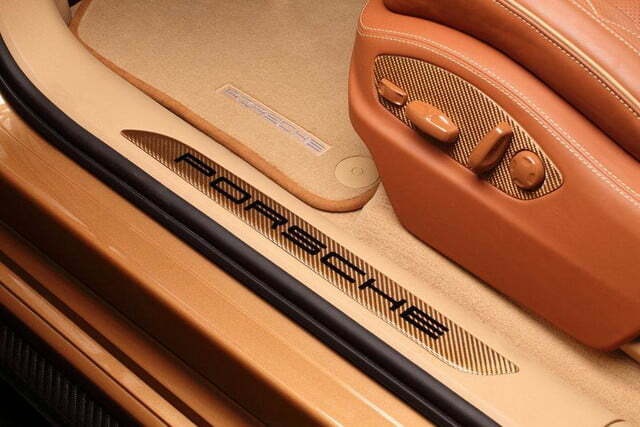 The aerodynamic kit can be complemented by a Innotech performance exhaust system with three modes called opened, closed and auto, respectively. 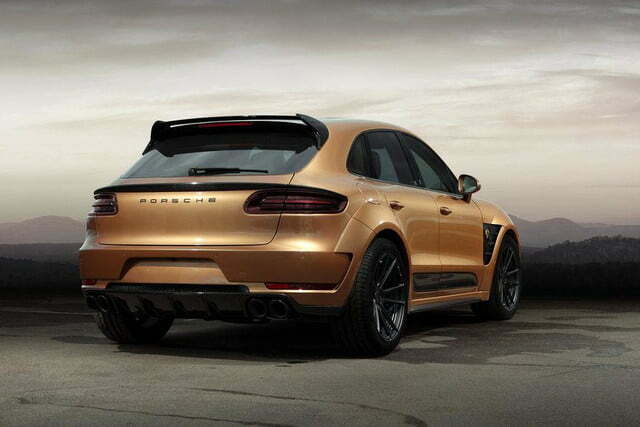 In open mode, the valves integrated into the exhaust are opened, allowing for maximum flow and a throaty exhaust note. 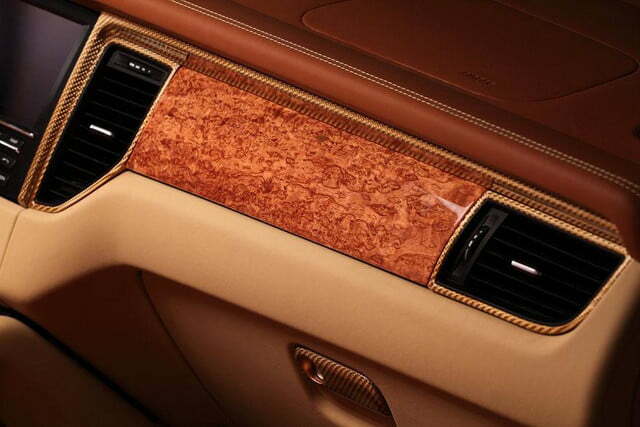 Closed mode closes the valve for a quieter ride, and auto mode opens them up only when the engine is at high rpms or when the gas pedal is pressed past a certain point. 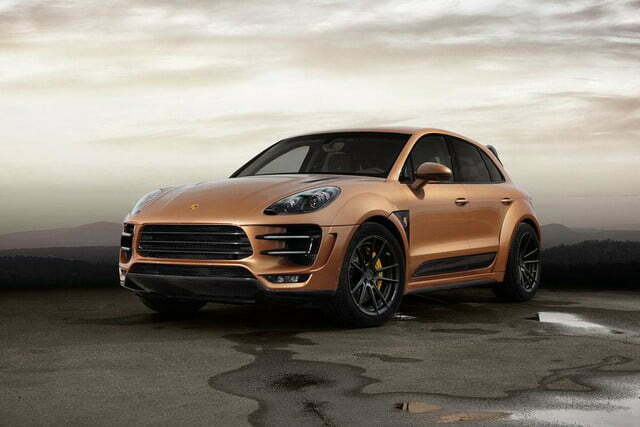 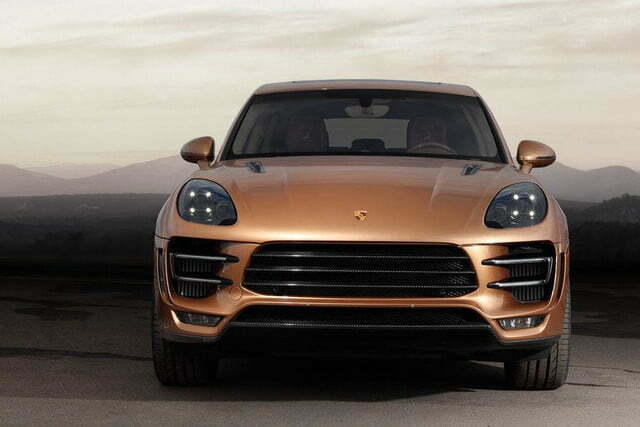 Exhaust aside, TOPCAR has not made any mechanical modifications to the Macan. 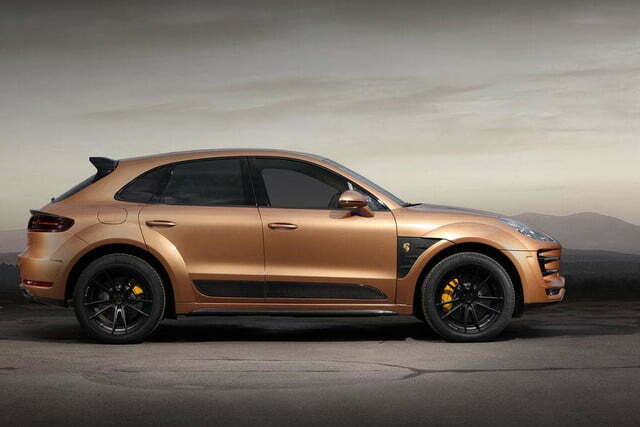 The model pictured in the tuner’s promotional shots is powered by a stock Macan Turbo-sourced 3.6-liter turbocharged V6 engine that sends 400 horsepower and 406 foot-pounds of torque to all four wheels via a seven-speed dual-clutch transmission. 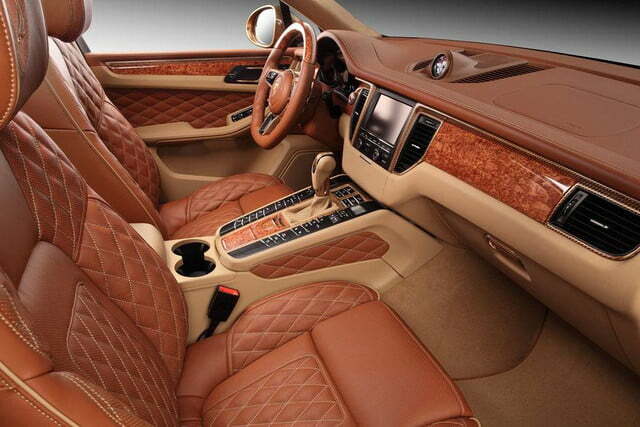 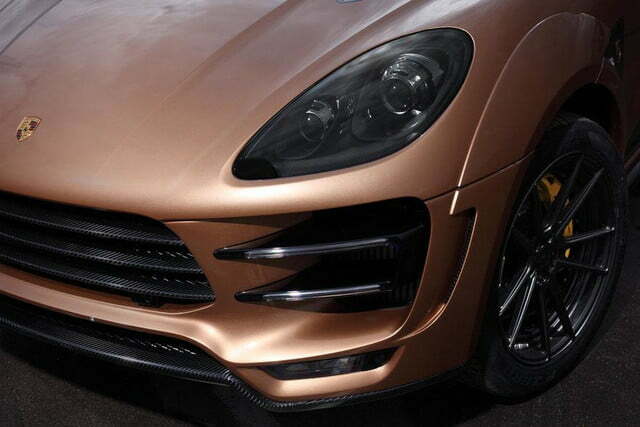 However, the body kit can be fitted to any Macan regardless of what lies under the hood. 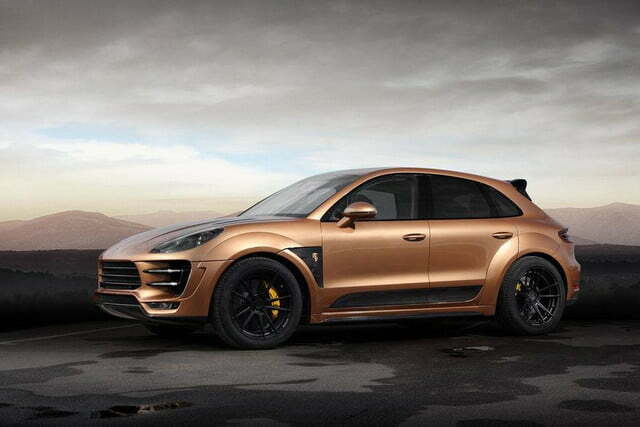 In Europe, buyers looking to tune their Macan with TOPCAR bits and pieces will need to shell out €13,480 (a little over $15,000) for the standard body kit or €17,080 (about $19,000) for the carbon fiber kit. 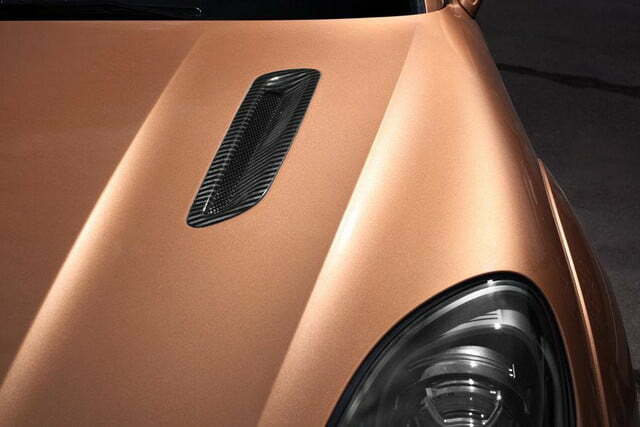 If that’s too much, most of the pieces in the kit can be ordered individually.